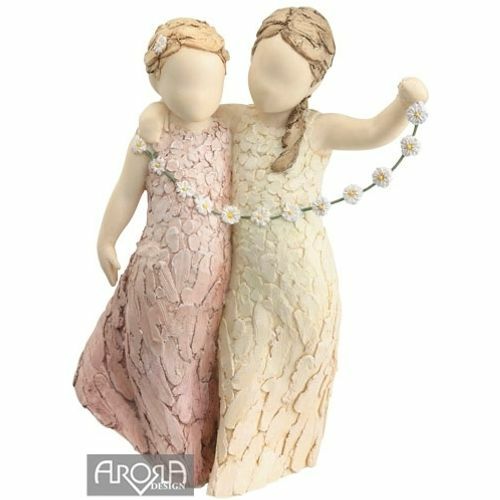 This charming More Than Words figurine features the figures of two adorable young ladies, standing in a friendly embrace and each holding the end of a daisy chain as a symbol of this friendship. The beauty of More Than Words is its ability to create emotion through the art of human gesture, making each piece open to interpretation and therefore more personal to every owner. Friendship is a delightful gift between sisters and ladies that share an eternal bond of friendship.